When talent is passed on from generation to generation, it often happens in an un presumptuous way. Such is the case with Daniel Röhn – one of the most remarkable and talented violinists of the present day. The 3rd generation of one of Germany’s most distinguished musical traditions, both his grandfather (Erich Röhn) and father (Andreas Röhn) played an active part in shaping the universally unique German orchestral landscape as renowned concert masters of the Berlin Philharmonic's Furtwängler era and the Bavarian Radio Symphony Orchestra (Kubelik, Maazel, Jansons); now the new generation has joined those ranks as a soloist, who will no doubt contribute significantly to the world of the violin. In the 19/20 season, Daniel Röhn focusses on the Nielsen Concerto, Goldmark Concerto and Lutoslawski’s 'Chain 2’, and following the attention he has attracted as a true virtuoso with his ‘Kreisler Story’ project, Lalo’s ‘Symphonie espagnole’, Bruch’s ‘Scottish Fantasy’ and the Wieniawski Concertos are at the heart of his repertoire. Recent and upcoming debuts include appearances with the English Chamber Orchestra, Swedish Chamber Orchestra, Sinfonia Rotterdam, Kiev National Philharmonic, Munich Chamber Orchestra, Norwegian Chamber Orchestra, Deutsches Kammerorchester Berlin, and the Odessa Philharmonic Orchestra. Alongside Rolando Villazon, he is now a guest star curator for KlassikRadio Germany. At the invitation of Lorin Maazel, Riccardo Muti and Esa-Pekka Salonen, Daniel Röhn has made numerous guest appearances with the Bavarian Radio Symphony Orchestra, the SWR’s Stuttgart Radio Symphony Orchestra, the Royal Stockholm Philharmonic Orchestra, Malmö Symphony Orchestra, the Cappella Istropolitana, and the Württemberg Chamber Orchestra Heilbronn to name but a few. 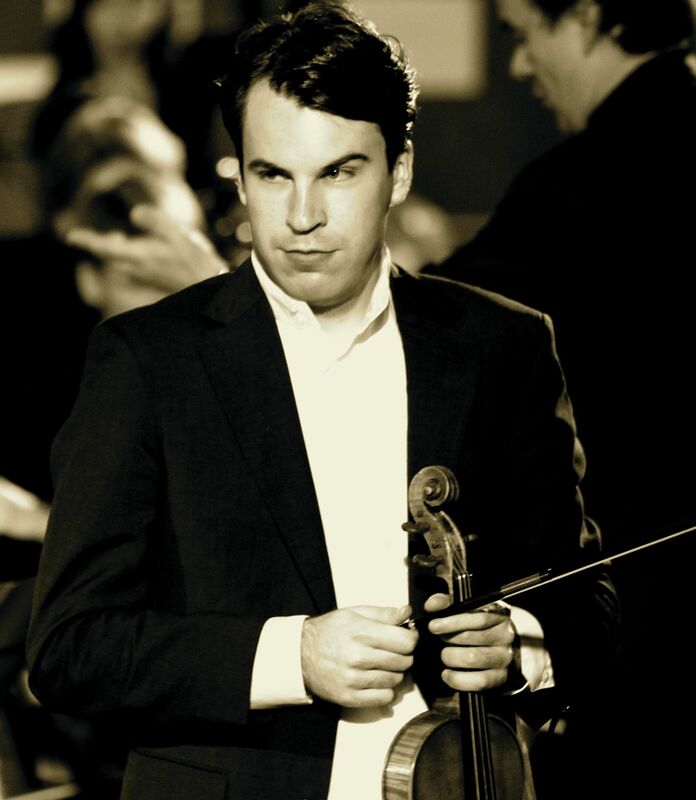 He has performed as soloist under the baton of Gustavo Dudamel, Riccardo Muti, Ion Matin, Markus Poschner, Hannu Lintu, Alan Buribayev among others, and has appeared in the world’s most esteemed concert halls including Berlin Philharmonie, the Munich Philharmonic’s Gasteig Cultural Centre, Festspielhaus Baden-Baden, Vienna Konzerthaus, Lucerne Culture and Congress Centre, Concertgebouw Amsterdam, Cité de la Musique Paris, Southbank Centre London, Wigmore Hall London, Megaron Athens, bestspielhaus Baden Baden, Philharmonie Cologne, and Carnegie Hall New York. Festival appearances include the Rheingau Festival, Festspiele Mecklenburg-Vorpommern, Lucerne Festival, Montpellier Radio-France Festival, and chamber music partners include Julia Fischer, Lisa Batiashvili, Arabella Steinbacher, Vilde Frang, Ana Chumachenco, Augustin Hadelich, Ivry Gitlis, Linus Roth, Kirill Troussov, Nils Mönkemeyer, Antoin Tamestit, Gautier Capuçon, Julian Steckel, Daniel Blendulf, Alexander Chaushian, Rohan de Silva, Bertrand Chamayou, Jonathan Gilad, Milana Chernyavska, Paul Rivinius, Jörg Widmann, Quatuor Ebène and the Belcea Quartett. Perhaps few other contemporary musicians are capable of bringing back to life the sparkling treasures of Fritz Kreisler as masterfully as Daniel Röhn on his current album, The Kreisler Story (EDEL/ Berlin Classics) which was highly reviewed in BBC Magazine, Gramophone Magazine, Süddeutsche Zeitung, Fono Forum, London Telegraph and the London Guardian. Daniel Röhn honed his extraordinary talent at a young age, studying under Ana Chumachenco at Munich University of Music and Performing Arts. He lives in Hamburg with his wife and baby Lily.